Start the New Year right with a website that works as hard as you do! During these tough economic times small businesses have to make tough choices on where they spend their money. Our talented web developers understand that not all business are equal. We will develop an online presence that will cover your current and future needs and fit within your budget. Already have a website? Let Tactical-Moves small business creative team propel your outdated website into the future with an updated mobile optimized responsive design. Your new website will incorporate the latest techniques with a responsive website design that will adapt to the device being used. No need for a mobile website or a mobile application. Complete affordable small business website promotion Our website promotion includes everything needed. No surprises or upsells. Affordable Website - One price, no surprises or upsell! Affordable Website Design - Our small business website design incorporate a responsive concept that adapts and scales to mobile phone, tablet or desktop PC. Easy reading and navigation across many devices and platforms. Our websites will scale and adjust according to the device used. We incorporate business identity, vision and message - An easy to use online presence needs to draw clients and to convey the feel of the company and its purpose, while remaining professional in order to attain a solid and lasting impression to its customers. Affordable Website Development - Having your small business website designed and developed by Tactical-Moves team gives the added benefit of functionality and design, there is practically no limit to the capabilities! You have options! Our promotional program includes a basic website design or you may pick a template design created already by professionals. 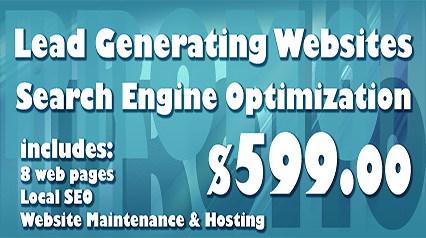 We can also custom create a website based on your specifications at an additional cost. Website design solutions listed below include Marketing & SEO. No hidden cost or upsell!